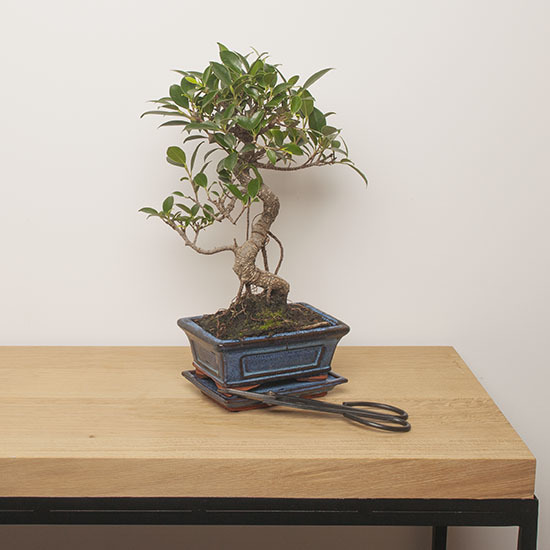 An indoor bonsai ‘Ficus’ is a miniature tree. 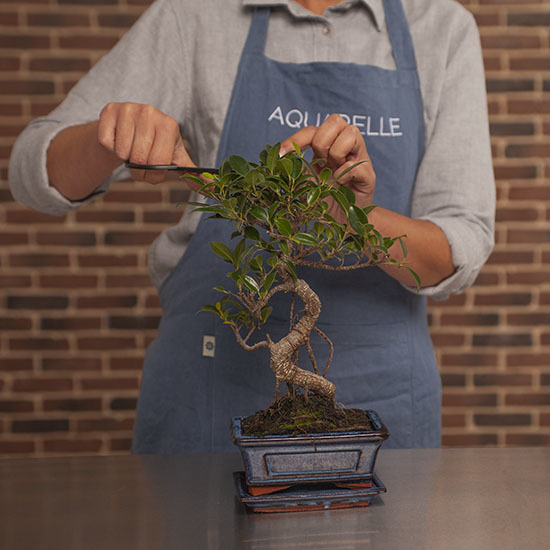 Bonsais are miniature reproductions of trees that grow in nature.Bonsais are miniature replicas of trees that grow naturally outdoors and the literal translation from the Japanese means grown on a tray. They make beautifully elegant decorations for homes or placed outside on a terrace or balcony, depending on the variety. The ‘Ficus’ is not resistant to frost and should be kept inside as soon as the average temperature drops below 15°C. It is easy to grow indoors as it can tolerate a lack of humidity in the air. Location: your Ficus should be placed near a sunny window. It tolerates the sun well, but should be kept away from draughts and radiators, which are excessively drying. In winter, the Ficus loses 50% of its leaves, which are then renewed in the summer. 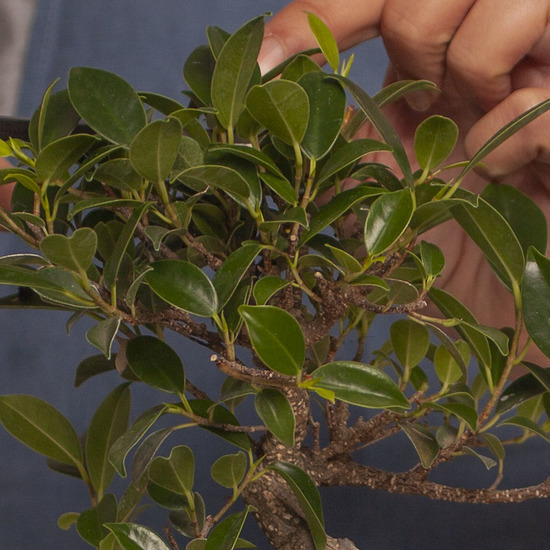 Watering: caring for your bonsai means observing it closely and understanding its needs. To keep it healthy, be attentive to any variations that may affect it. Learn to "test the soil" and scratch the surface slightly to feel if it is still humid below. The soil should be more or less dry before watering again. Fertilise your Ficus with bonsai plant food mainly in the spring and autumn. Decrease the amount of fertiliser in summer and stop it all together in winter to allow the tree to rest. Outside: In the summer, placing your bonsai outside will be beneficial and encourage the foliage to grow densely, as long as the temperature does not below 15°C.